What a great feeling to harvest your own home-grown fresh vegetables! Typically, most backyard gardens are rather small, averaging about 200 square feet. Since most gardens need six to eight hours of sunlight, a nice sunny spot free of trees will produce the best results. Leafy greens like spinach and lettuce won’t mind the shade. A small, well-tended garden can be just as productive as a large one with the proper care. Effective planning of the vegetable garden layout is essential so that it looks attractive and has abundant growth. It must also drain well. Stretch the garden season out by buying plants from the garden center along with planting seeds. Adding a little variety to the garden with herbs will naturally protect against many pests. 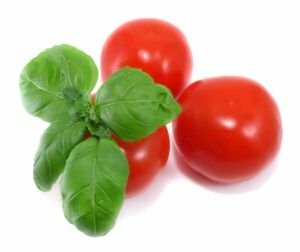 If your space is exceptionally limited or you only want an infrequent tomato or other plant, edible landscaping lets you plant the vegetables among your flowers. An edible landscape for borders might include ‘Red Curl’ Lettuce’ (green, flat, red-tinged leaves), ‘Red Russian’ kale, and 'Thai Hot' peppers. Tomatoes, eggplant, and bush varieties of cucumbers can also mix in well in a flower garden. Part of the fun of garden planning is choosing from a number of different vegetable varieties. If your space is limited or don’t have much time for tending the garden, grow only what you really like or the vegetables that are expensive in the grocery store. Consider the season length. With tomatoes, peppers, and sweet corn, you can select varieties that mature at different times to have a steady harvest starting 60 days after planting and continuing for five or six weeks. Certain varieties also freeze better than others. Sweet Pepper- Commonly referred to as “Bell peppers,” green or red peppers, these vegetables are common to most gardens and easy to grow. They are “sweet” because they are not hot like chili peppers. Green peppers are basically the un-ripened version of red, and other colored peppers. Popular varieties are “California Wonder” and “Cubanelle.” Peppers are usually grown from transplants in northern parts of the country. Beans- Green beans come in two basic forms, bush and pole. As it’s name implies, the bush bean plant is small and compact, while pole beans grow on a vine. Common varieties are “Blue Lake” bush beans and “Kentucky Wonder” pole beans. Onion- Onions can be grown from seed or "sets." Sets are onions grown from seed, but not allowed to mature. They are saved to plant the next year, giving them a quicker start than those grown from seed. Green onions are simply immature onions that are picked before they are fully grown. Onions are usually classified as red (purple), white or yellow. Lettuce- Lettuce is generally classified as Butterhead or Bibb that form loose heads; Leaf which has tender leaves that can vary in size and texture; Iceberg that has heads that resemble cabbage heads that is found in most salads that you might get in a restaurant; and Romaine that is similar to the leaf varieties but can have a much tougher, darker green leaf with a distinct rib. Carrot- Carrots are another commonly grown garden plant. Carrots are a biennial root vegetable that is usually harvested at the end of its first growing season. They can also be left in the ground to over winter by mulching the beds. They grow best in loose soil that doesn’t keep them from forming their roots. The ‘Imperator’ cultivar is one of the most popular commercial varieties. ‘Danvers’ has a shorter; more cone shaped root and does better in heavy soils. The ‘Nantes’ variety has a more cylindrical shape that doesn’t taper as much as the others. Radish- Radishes are easy to grow and come in a variety of shapes, colors and flavors. While they are grown primarily for their roots, the entire plant is edible and the green tops can add a spicy note to a salad. Popular varieties include ‘French Breakfast,’ ‘Easter Egg’ and ‘Cherry Bell.’ Radish seed can also be grown as “sprouts” and used for salads. Peas- Peas are a crop that loves cool weather and doesn’t do well in the heat of summer. They can be planted when the soil temperatures reach 50 degrees Fahrenheit. They have both bush and vine cultivars as well. Popular varieties include ‘Oregon,’ a so-called "snow pea" with flat, edible pods; ‘Sugar Snap,’ a snap pea named for its stringless, edible pod and ‘Lincoln,’ a shelling variety that freezes well.